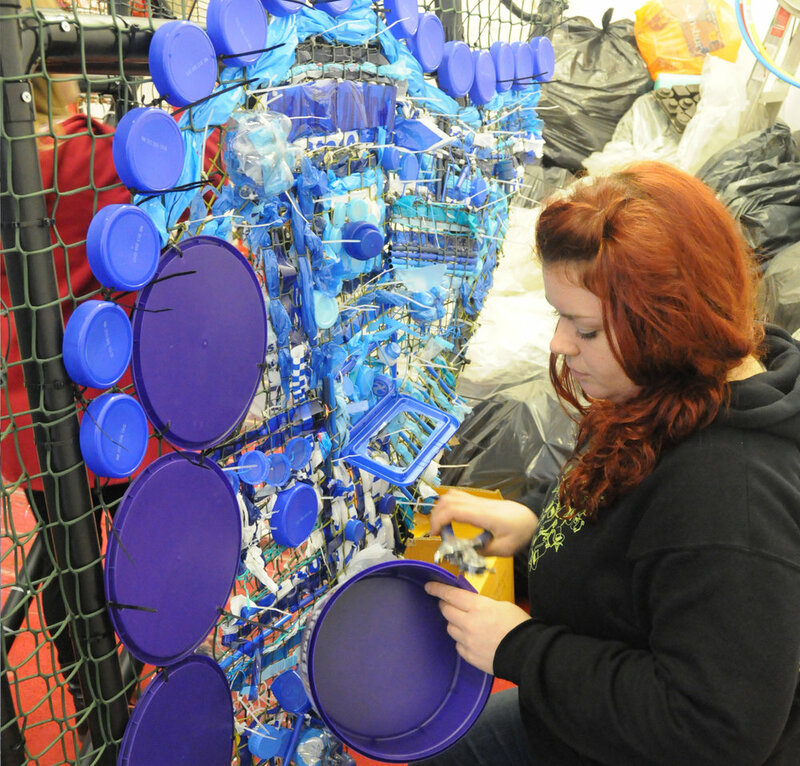 Sarah created a life-sized recycled WW1 tank as a main feature of Light Night Nottingham 2014. 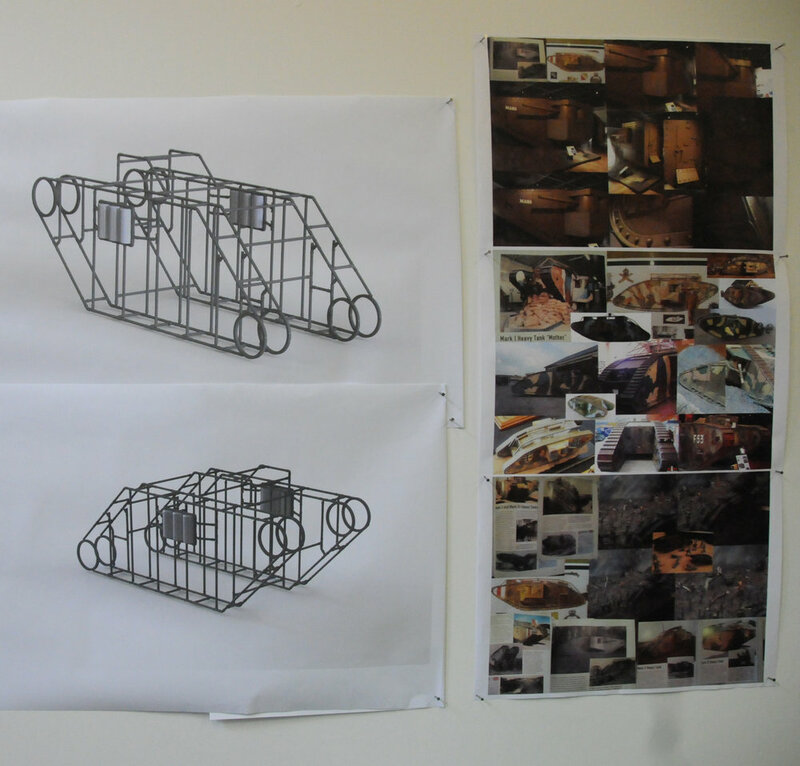 Nottingham City council commissioned Sarah to make the massive tank in commemoration of the 100 year anniversary of The Great War. Thousands of pieces of plastic rubbish were collected by local people and schools for the project. As well as heaps of plastic bags, bottles and packaging a sack of dried up felt tip pens and police tape was collected! 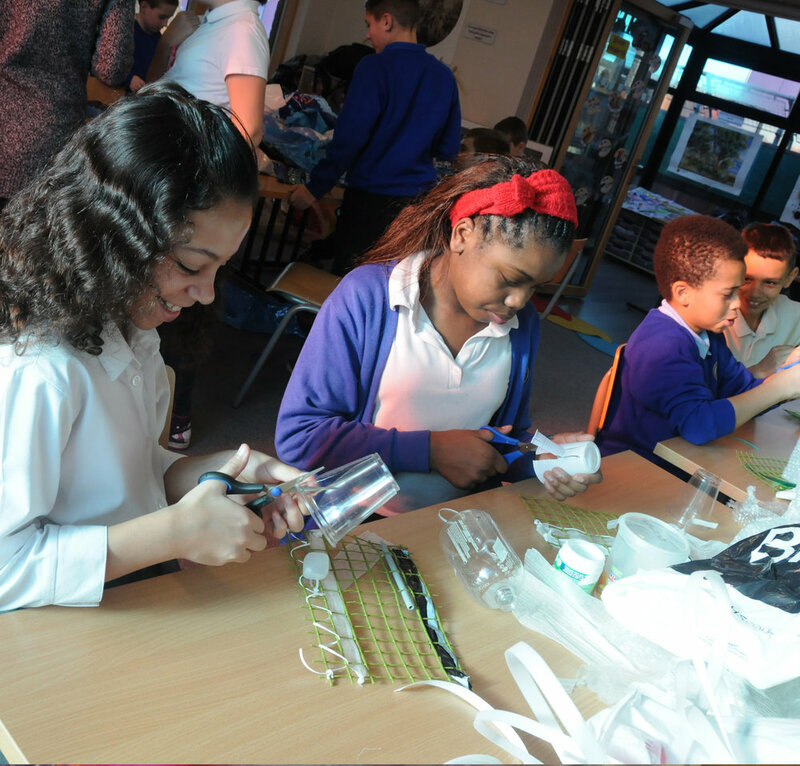 Sarah delivered workshops to groups of school children in ten Nottingham City schools. 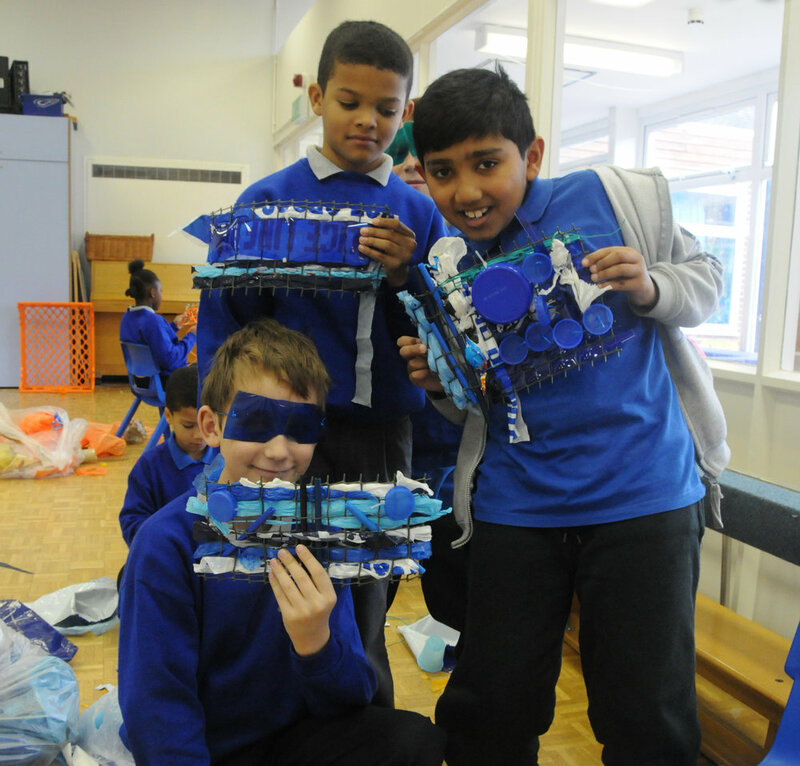 Each child handcrafted a part of the tank from rubbish they had collected. 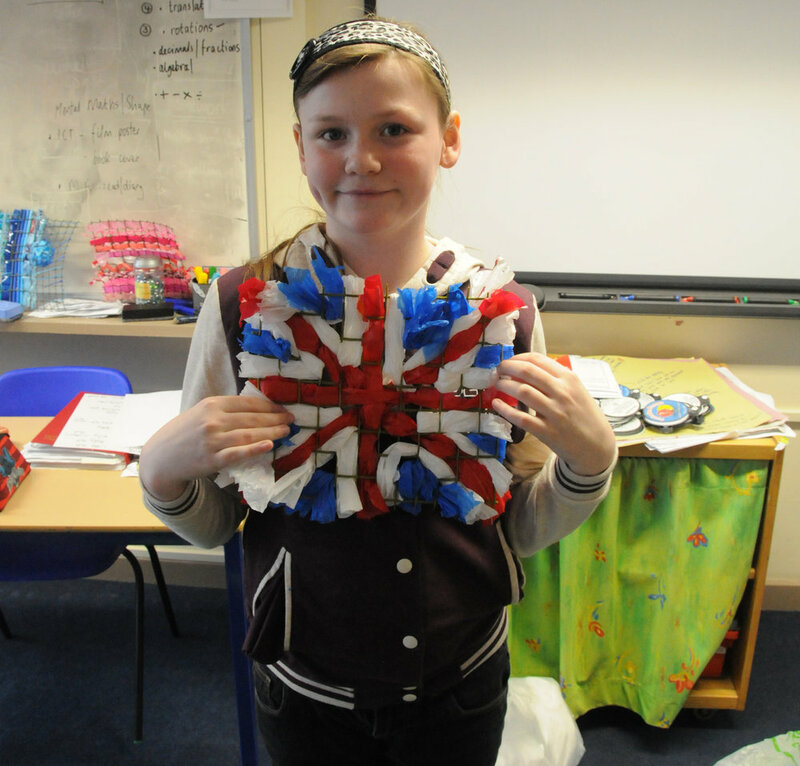 Sarah then pieced together all the children’s creations to produce the finished tank. 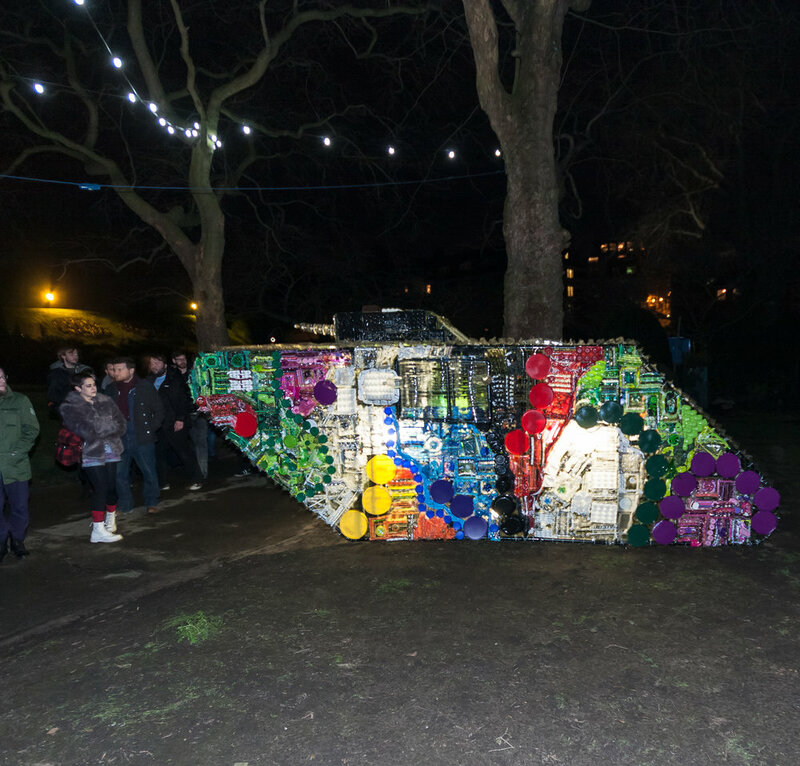 On the night the tank was installed at Nottingham castle for hundreds of visitors.